Queenstown is one of the most visited tourist destinations in New Zealand because there is no shortage of activities and places to see in this region. Oftentimes people rent a car when they visit this beautiful South Island town so they can easily explore the area. 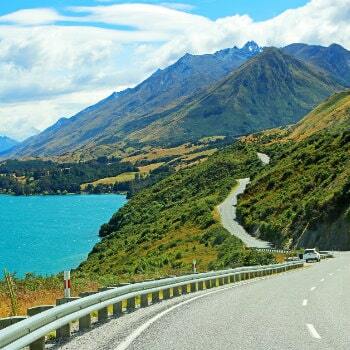 If you are having a difficult time planning a self-drive tour, check out VroomVroomVroom's list of the best road trip itineraries in Queenstown below. This lovely town is just a short drive away from Queenstown and attracts tourists every autumn season because of its colourful fall foilage and annual Akarua Arrowtown Autumn Festival. Make sure to check out the Lake District Museum and Gallery and learn more about the history and culture of Arrowntown in this small museum. There are also artworks and authentic pictures of early Maori life exhibited in this museum. Park your car and head to Lake Hayes Walkway where you can appreciate the beauty of the mountain views. The easy loop walk takes around 2-3 hours. Experience the roller coaster terrain at Coronet Peak. You can also try their night skiing every Wednesday, Friday and Saturday nights. Directions: The quickest route to Arrowtown from Queenstown is via Malanghas Road. You can also take the State Highway 6A, State Highway 6 and Arrowtown-Lake Hayes Road route. Top Attractions: Lake District Museum and Gallery, Lake Haynes, Coronet Peak. Known as the gateway to the Middle-earth magic, Glenorchy is one of the most popular road trip destinations in Queenstown. It continues to attract hikers and movie buffs because of its amazing landscapes that were featured in The Lord of the Rings and Narnia. Feed your soul and take a walk with a guided half day or full day walk from Glenorchy Journeys at the Routeburn Track. Witness some of the most stunning landscapes during your tour. If you are not fond of long walks, you can go horseback riding instead. Dart Stables at Dart River offers more than 60 breeds of horses to choose from and a knowledgeable team of guides. Thrill-seekers shouldn't miss the opportunity to go tandem skydiving amidst a majestic mountain backdrop at Skydive Southern Alps. Directions: Drive from Ballarat Street towards State Highway 6A then turn right going to Beach Street. From there, continue onto Lake Esplanade then take the first exit at the roundabout onto Glenorchy-Queenstown Road. Top Attractions: Routeburn Track, Dart River, Skydive Southern Alps. For the ultimate outdoor adventure, visit Wanaka which is considered by many as nature's playground because of the endless things one can do here. This place is perfect for budget-conscious travellers because the rates of the activities here are cheaper than those in Queenstown. The perfect place to enjoy water sports such as jet-skiing, kayaking, paddle boarding and boating at Lake Wanaka. Located on the Southern Alps of the South Island, Mount Aspiring National Park is known as a walker's paradise. It is an ideal base to go hiking and mountain biking. If you want to experience fun winter activities, the Southern Hemisphere Proving Grounds will be perfect for you. Go ice driving, husky sled dog rides and snowshoeing in this unique location. Directions: The fastest route to Wanaka from Queenstown is via Crown Range Road and Cardrona Valley. You can also reroute to Malaghans Road and McDonnell Road before turning left onto State Highway 6 and Crown Range Road. 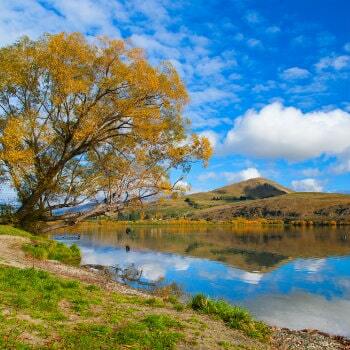 Top Attractions: Lake Wanaka, Mt. Aspiring National Park, Southern Hemisphere Proving Grounds. Once named as the “8th Wonder of the World”, Milford Sound is a must-see when travelling to South Island. It takes almost three hours to reach this famous fiord but its lush rainforests and spectacular waterfalls are worth the long drive. 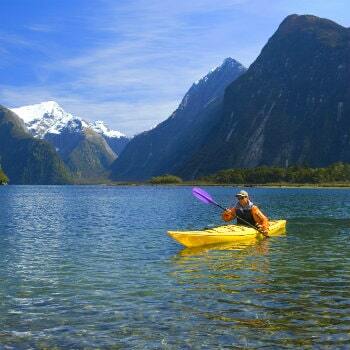 Be amazed by the beautiful sights that you will encounter while kayaking including the Mitre Peak and Pembroke Glacier. Enjoy the numerous walking and tramping tracks in the area, including the Key Summit Track which takes around 3 hours to reach the summit. Get up close with different underwater species and learn about the history of Milford Sound in this centre. Directions: Head northeast on Ballarat Street towards State Highway 6A. Follow State Highway 6 to New Zealand State Highway 94 in Milford Sound. Top Attractions: Milford Sound Kayaking, Milford Sound Walks, Milford Sound Discovery Centre and Underwater Observatory. Do you know that you can download this map directly to your phone? Press the box symbol located on the top-right corner of this map to open in your Google Maps app. Now you can easily access this map on your next day trip in the Queenstown.